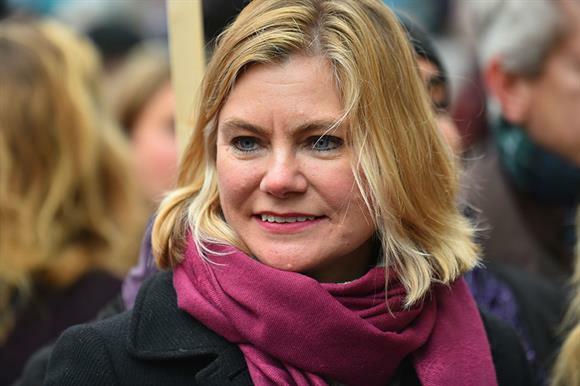 The former education secretary Justine Greening has called on the government to reform business taxation to help social enterprises. Speaking at a fringe event at the Conservative Party conference in Birmingham this morning, Greening said that socially beneficial business was set to become increasingly mainstream and government needed to recognise this in business taxation. She told the event, which was organised by the umbrella body Social Enterprise UK, that she had been pushing the Treasury for changes because it would help to support social mobility. "Until Treasury reforms and really values investment in people in the same way it values investment in a road, we won’t get sensible investment decisions made to deliver equality of opportunity," Greening said. "I would like them to look at business taxation and at better valuing the social benefit that social enterprise gives to communities large and small around the country." She said such a move would be "vital" in the coming months and years. "The days of social enterprise being seen as something that some companies do over there are finished," said Greening. "You’re ahead of the curve on where many other businesses will be shifting to in a number of years, and I think that’s no bad thing." Lord Victor Adebowale, chair of SEUK and chief executive of the social care organisation Turning Point, warned there was still work to do to encourage government to appreciate the importance of social enterprise. "We have to win the business argument on social enterprise before we can convince government to have policies that are friendly towards us," he said, pointing out that social enterprise was overseen by the Department for Digital, Culture, Media and Sport, rather than the Department for Business, Energy and Industrial Strategy. Greening said the government needed to "break out of its mindset" in the way it viewed business. In his speech the previous day, Chancellor of the Exchequer Philip Hammond discussed a new vision of capitalism in the 21st century but did not mention models of business not solely focused on shareholder incentives. "It is literally about whether you can see something else other than black and white," Greening said. Government advisers and civil servants who dismissed alternative models of business were "missing a trick", which was like "half a strategy", she said. "It all comes down to the idea that they don’t value what is happening in communities."